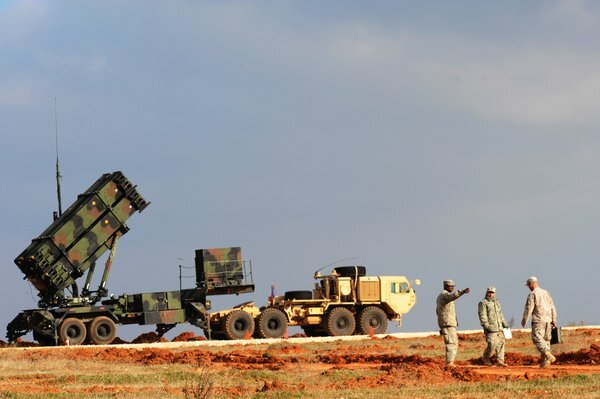 Why did the US just withdraw missile batteries from Turkey? The paper of record served up what amounts to a caricature of a story planted in the media by the government. The State Department says the missiles were sent back for “critical modernization upgrades.” Senior officials in the Pentagon talked of “an Army capability already stretched by near-constant deployments,” saying that they are “needed elsewhere to defend against threats from Iran and North Korea.” The story is riddled with holes like Al Pacino in Scarface and is entirely bogus. The case for the missile threat from Iran and North Korea always stretched the limits of credibility. Would Iran dare to strike American protectorates on the Arabian peninsula? Would North Korea launch a surprise strike against South Korea or Japan? Would they not be inviting the Wrath of the Boss? In other words, deterrence by denial has always been unnecessary to deal with these secondary threats. But fatally for the story, any credible threat assessment would return with the finding that, relative to the threat to Turkey from the south, both of these potential missile threats have declined since 2013. The generals are lying outright. The truth of the matter is that real targets of the missile batteries were never North Korea, Iran, and Syria. The real targets were, are, and will remain, China and Russia. The three rogue states merely serve as convenient bogeymen to justify placing these offensive weapons close to what the Pentagon calls its “near-peer competitors”. Indeed, Turkey has always played the role assigned to it by geography, sitting as it does under the belly of the bear. For instance, the Cuban Missile Crisis was resolved by a secret American offer to withdraw Jupiter missiles from Turkey. This raises the interesting possibility that the withdrawal was part of a secret American deal with Russia. If I am indeed correct about the signalling underway, we might have a deal on Syria, which is very good news. And which in turn raises an even more interesting question: Was Soleimani the go-between? Is that what he was doing in Moscow? One, they don’t work. Two, who there is going to be launching anything against Turkey anyway?